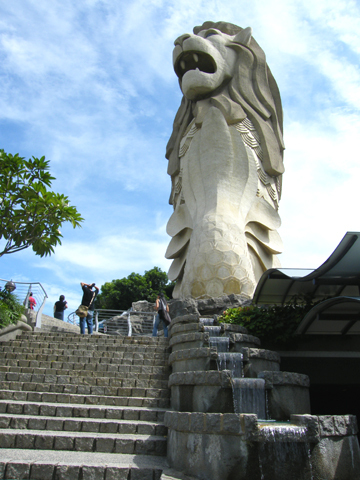 Actually, I have not been to Sentosa for quite a long time to play with the the attractions. 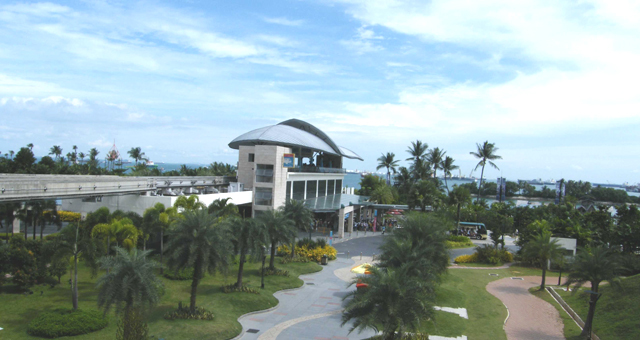 Most of the time when I visit Sentosa, I'll go to the beaches there with a group of friends. There are actually a few beaches to choose from. 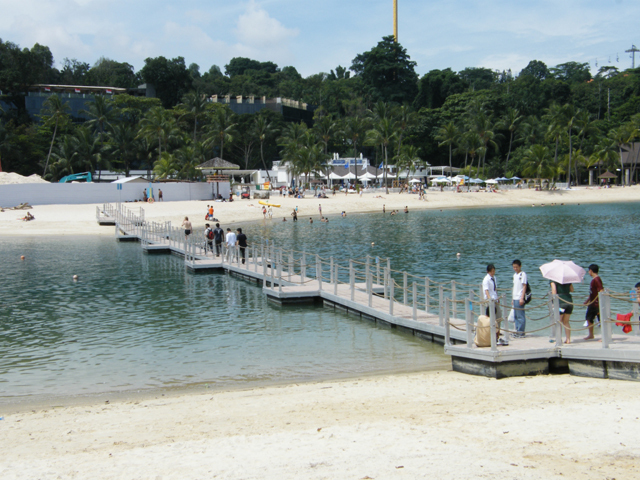 Siloso beach is the more crowded and happening beach, while Tanjong beach is the more secluded and deserted beach. Besides, there's also the Palawan beach. Apart from the beaches which is good for group gatherings and activities, the attractions are also quite fun. I really enjoyed the luge and skyride the last time I tried it. It was really fun. Must try if you're looking for something exciting and fun. There are also other attractions in Sentosa which are probably worth the visit and you could probably spend one whole day in Sentosa, playing around with the attractions and having fun there with friends and family. just visited sentosa and it looks like a major construction site. almost everything is under renovation or construction. visited the food court and prices are almost $10 for a dish, without a drink. even the major food brands like ben & jerry is more expensive on the island compared to mainland singapore. overall, the island was quite run down and chaotic to me and didnt enjoy myself. only plus was the long beaches that were pretty clean for singapore standard. resort world is due for completion only in 2011, and my next visit would only be after that. Getting to Sentosa is fairly easy. 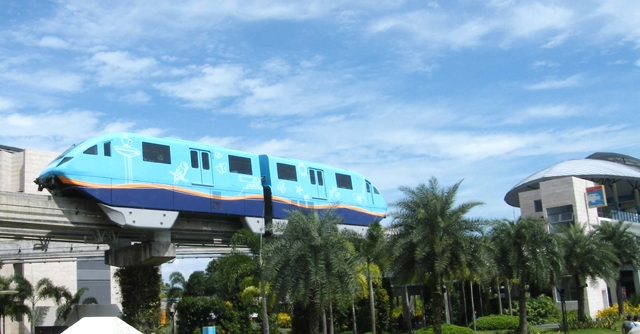 You either choose to drive, take a bus at Habourfront terminal or hop on the Sentosa Express (S$3 for 2 way trip) at Vivo City level 3. If you are not afraid of height, perhaps you like to try the cable car ride from Mount Faber as gliding thru at high altitude gives you a panoramic view of the surrounding area. It’s a memorable experience! During the weekend, this place is flooded with lots of people - tourists and locals alike. Beach-goers and Sun-worshippers throng to the beaches and that’s only a small fraction of the happenings there. Lots of hot babes and hunky guys in their skimpy outfits were either sun tanning or frolicking on the beach. It’s really an eye-candy extravaganza! And, if you do not want to be seen as rude, a pair of sunglasses helps. Lining along the coast are several Beach Bars to help quench your thirst and rest your aching limps. But, for those who did not buy anything may be asked to leave their premises. Looking for food? You need not fret as there are many Food & Beverage outlets to whet all delicate taste buds. It all depends on how deep your pocket is. Trying to hitch a ride on the tram or the bus is somewhat challenging cause it’s always full. So you need to be patient, very patient especially with the sweltering heat for company. Argh…my patient ran out! No choice - I Walked. There are so many beautiful and interesting attractions like the Underwater World, Sentosa Luge & Ride, Dolphin Lagoon, Fort Siloso Tours, Butterfly Park & Insect Kingdom and The Merlion just to name some. The fees for some of the attractions are quite pricey to me and may somewhat put a dent on my wallet- especially for an average Joe like me. Ouch! Construction for the Resorts World at Sentosa is already gathering pace and will be completed in 2010. This is going to be Awesome! With so many more attractions coming- Eh...any Sponsors? thank u ladyironchef. your reviews made us drool.